You are here: Home / Discussion / Anyone know the top secret fat loss secret? Who would be willing to share it with me? I am a 15 year old, overweight girl. I hate it when people make fun of me because of my weight – it is so embarassing! 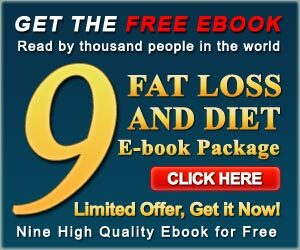 I would like to know the top secret fat loss secret from someone who is willing to share it with me. I’m desperate. Any help will be greatly appreciated. Any fat loss tips, too. I only know of one real answer: Eat less, exercise more. Before you make any drastic changes though, you may want to check with your doctor to see if there are any medical reasons for your weight. Increase your exercise level. Add a 20 minute walk daily. The walking will spend calories and improve your muscle tone. Keep a log of what you eat. Learn to estimate portion sizes and calorie counts. After a couple of weeks, you will have an idea of your eating patterns. Reduce high calorie foods and substitute fruits, vegetables and whole grains if you can. Fats have more calories than carbs or proteins, so most people try to cut fats. Don’t go on a zero-fat diet as your body needs some fats to process other foods. I was in a car accident at that age. Went from 170 down to 95 in 1 month in the hospital. Mostly muscle and water loss which I wouldn’t suggest. Also had my wallet stolen at the beginning of a 7 day bus ride cross country. Ate one Milky Way bar that whole trip- lost 20 pounds then. Not eating works, but extreme amounts of exercise is best. I biked 20 miles to work every day as a kid and was thin. As soon as I got my truck and started driving I got lazy and put on the pounds. Get in shape now because as you get older it only gets harder to get/keep the pounds off.